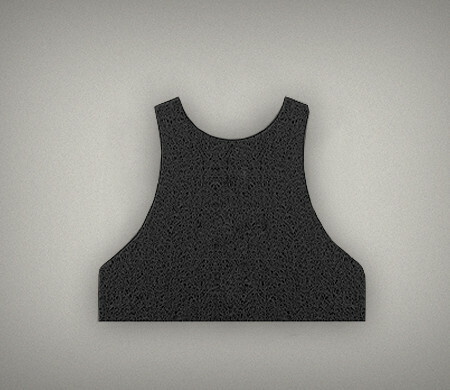 Many OTVs and plate carriers have side pockets that allow ESAPI Side Torso Plates, also known as Enhanced Side Ballistic Inserts (ESBI) to be inserted for enhanced ballistic protection against small rounds, fragmentation, and shrapnel. Warrior Trails makes these Training side torso plate inserts that replace the ballistic plates for training purposes. Each training side torso plate replicates the size, weight, shape, and rigidity of the ballistic plate. I ordered a pair of these with a set of Large training plates a short time ago. Arrived in remarkable time. They are quite comfortable and well made, and fit perfectly in the side SAPI pockets on my LBT-6094. I wasn’t initially planning on using ESBI until I watched some deployment footage with my brother where one saved him from enemy sniper fire. These plates are quite durable, and I’m certain they would survive any abuse I could possible put them through. In fact, I’m certain any abuse that would be sufficient to break these while worn would likely have ended the user long before. I intend to use these plates mostly for training, and even bought a cheap plate carrier simply for any PT that can be done with them; saving my LBT for actual training in gear with the team. Thanks for your review and comments! We posted them today on the site. Same goes for these as my review for the chest and back plates. Don’t worry about being rough with them. You will have to intentionally try to destroy them. And, I think you’d have to be more creative than just running them over with your truck to do it. These plates let me train worry free while my armor plates live a life of leisure far removed from the everyday toil of their Warrior Trail brethren.